During the past years I managed to visit a few NFL games. 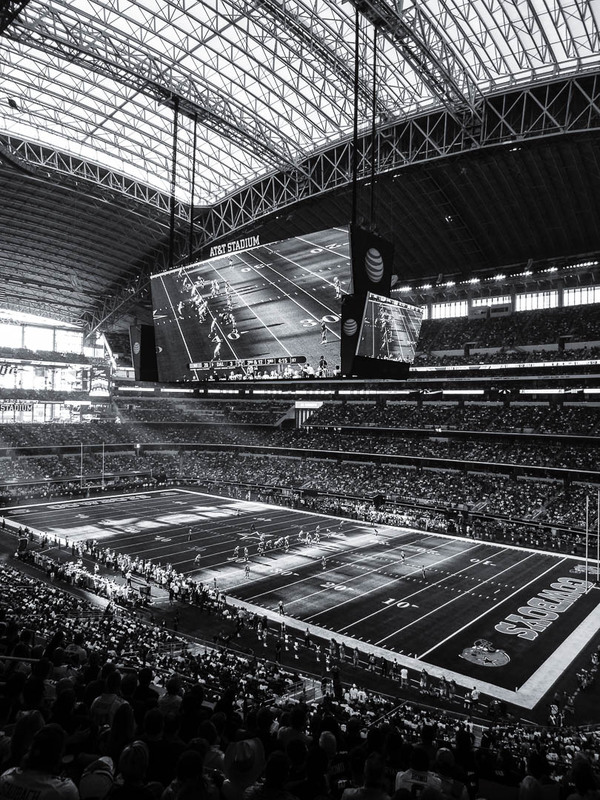 My last one was in 2015 when I got to see the Dallas Cowboys play the New England Patriots in the amazing Jerry World (aka AT&T Stadium) in Arlington, Texas. That day it was another strong performance of the Pats. I am in no way a fan of the Brady Bunch (hint: my team plays in their division), but I have utmost respect for this organization. Owner, Head Coach, staff and team have built a dynasty and each year overcome whatever obstacles are thrown in their way. Professionally I regard this organization as a perfect team and they prove year over year over year what a perfect team is capable of achieving. And Tom Brady is arguably the greatest player of all times. Despite all criticism towards the violence of this game and the commercialism generated by the league (and all of this needs to be seen rightfully as critical) the game and the show around it does an important thing: for those three hours it brings people and nations together and makes everyone watching it forget for a moment the chaotic world we live in. I wish everyone a happy Super Sunday and to all of us watching Super Bowl LI a peaceful and exiting game! Well, to sum it up, it was an epic game and well worth the lost night (I went to bed a 5am). And now it is proven that Tom Brady is the Greatest! Respect! Nice shots Marcus. I’m not a fan but it’s a great opportunity to yell at something besides politics. What exchange program were you with? These exchange programs are wonderful. I ran the Rotary Youth Exchange program for a large Rotary club in Utica NY. The highlight of each year was listening to the stories of the students who returned to the club. My family hosted, I think 5 students. My son went to Brisil for a year as a Rotary Youth Exchange Student. With all of this very unfortunate shutting down being attempted by the U.S. president it flies in the face of so much good that exchanges do for students, and host and sponsoring countries. I’m so pleased to know of your positive experience. How wonderful, Tim! It is people like you, Tim, who through working with visiting students positively touched so many young lives and who are the true face of America. Welcoming foreigners and bringing out the best in them is so much in the DNA of your country! It is unimaginable that this could change. Beautiful photographed in black and white. I like how your captured the special athmosphere. Enjoy the Super Bowl, Marcus. Provided you don’t enter the Eagles stadium wearing the opposing team’s jersey. Regrettable, but that’s how they roll in Philadelphia. Since my Houston Texans aren’t in it I’ll go with the Patriots! I agree love the black n white and liking football makes you an honorary US citizen…now if you switch to Texans as your favorite you can be a good honorary Texan! (No cowboys! Ha ha ha!😄!) Were hosting so I hope we do it well :)!! 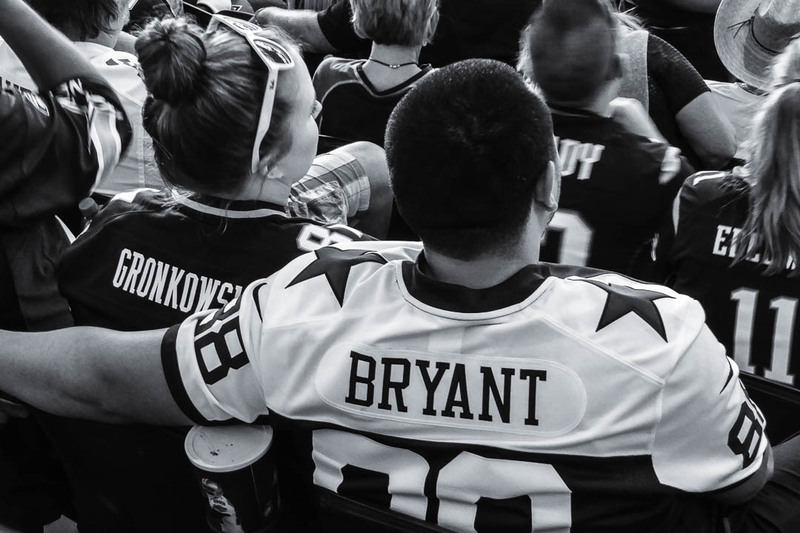 Your pictures are in Dallas and the Bryant fan is surrounded by a bunch of New England fans. I miss Gronk. 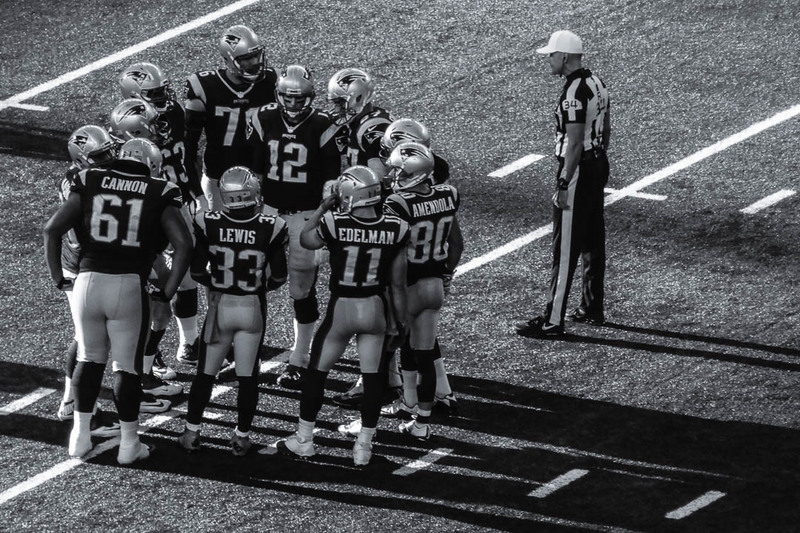 True – Gronk is awesome. I love how all these fans sit peacefully in between each other! Thanks, David, happy you like them! Go Falcons 🙂 ! yeah…hmmm….honor to whom honor is deserved 🙂 ! Beautiful pictures! I love that you showed them in monochrome. Even more impressive. 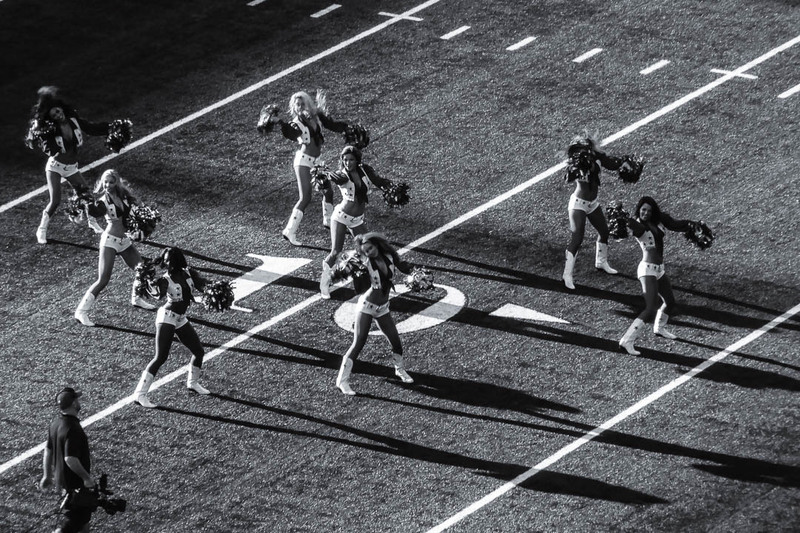 And even though I don’t get American football rules (or Baseball come to think of) I really do love the atmosphere there – usually every sports event is a family event. How often do you see families (with smaller children) at Bundesliga soccer games? Tailgaiting parties are fun, too. Thank you so much for your thoughts, Annett! This is so much more fun for families, indeed, than what we have in the Bundesliga.